In only just a few short weeks we will be celebrating our 5777th year! While we apologize for the self-promoting nature of this blog, we believe that it is important nonetheless. Some of our brave men and women will celebrate the ‘chagim’ away from home; while their sacrifice allows us to worship and enjoy this special time of year we can our part by sending them our love and thanks. But, nothing can connect them to their Jewish heritage like a hot Kosher meal. Labriute is the exclusive supplier to all branches of the US military of Kosher MREs (meals-ready-to-it) -they are used for training and campaigns when our brave soldiers are away from their base of operations. This year, we’d like to suggest an additional option: Labriute will ship our homestyle 12oz. meals to an APO address in time for the New Year. 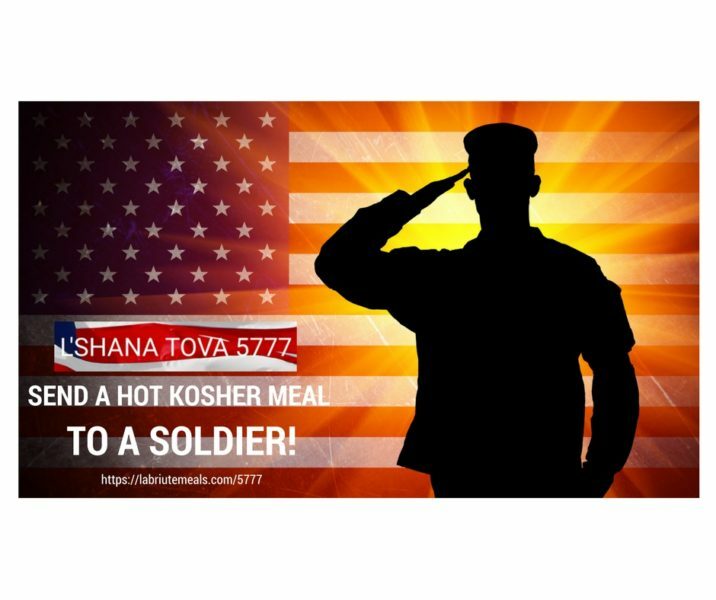 To take advantage of this offer, please click on the photo or this link: L’Shana Tova 5777. We want to take this time and send our prayers for the safety of all of our soldiers and to wish everyone a Happy & Healthy Shana Tova.